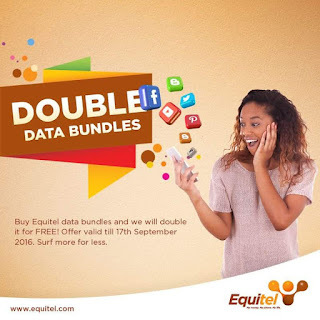 Equity Bank's Mobile services provider,Equitel has announced today a big offer that will see its subscribers get double the data bundles they'll purchase. The lenders SIM service provider took the move to enable its SIM card users surf the internet twice the way they used to. 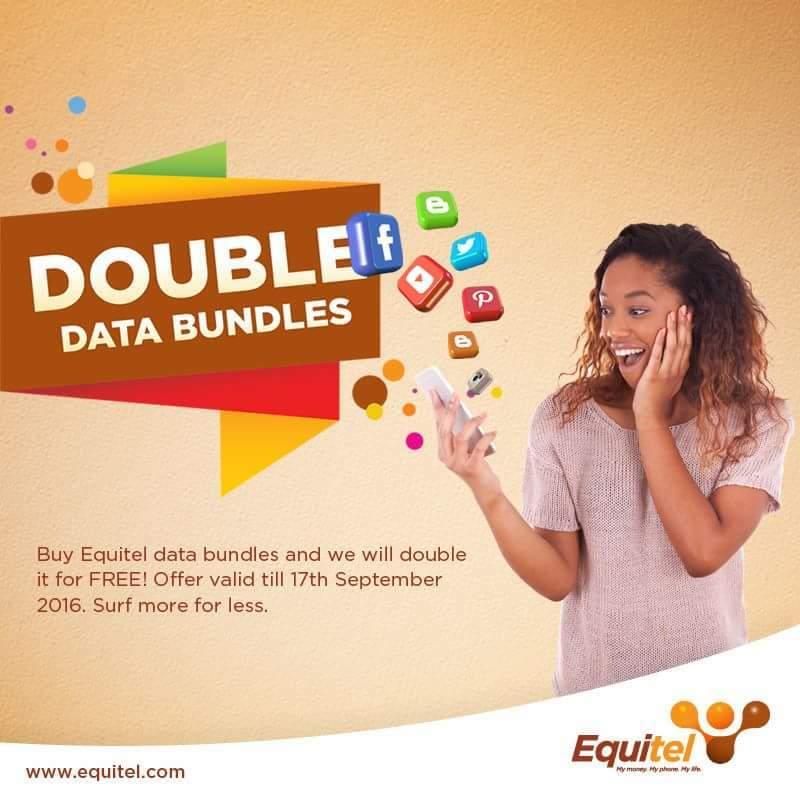 The offer which started today 11th July will run until 17th September 2016.